Finally finished my bag of apples with just plain old applesauce. But it is homemade and I know what is in it!. Remember sugar to your taste. This recipe netted me 10 Jelly Jars of applesauce. One isn’t in the pictures as it was given to a friend! Add Apples to 6-qt crock-pot. Add 1/2 cup water to apples. Using a food mill, run the apples thru them to make a puree. If no foodmill, Puree in a blender. Add mixture back to crock-pot. Add sugar to taste. Some apples have a different sugar level, you should add a little sugar, taste and then add more if needed. Cook another 4 hours on low. Add mixture to glass canning jars, add seals and lids and heat seal. 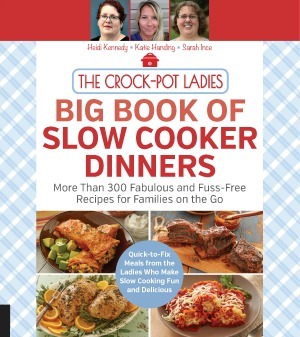 I have made applesauce in the crockpot before–it is yummy! 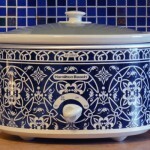 Can I use a crock-pot liner? I love using liners and hate scrubbing my crock-pot out. I’m new to canning. What does heat seal mean? Sorry, boiling water canner. (water bath). I dont know why I put Heat Seal. process pints and quarts 20 minutes in a boiling water caner. Can you put these into freezer safe containers and just freeze without “canning”? I do not have the supplies for canning.